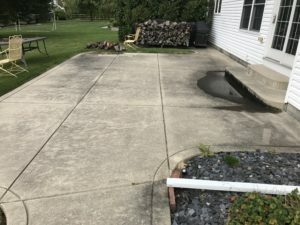 Do you have dirty concrete? Concrete, though very hard, is very porous. Porous, meaning like a sponge, it can absorb what lands on it. Contaminates, with the help of water and gravity, are driven down into the pours of the surface and require the use of water at a high pressure to release them. Having your concrete professionally cleaned will have a dramatic effect on the appearance of your home. Dirt is not the only contaminate that gets tracked and impressed into the pours of the concrete. Mold, algae, mildew and moss are commonly found growing on the surface. These unsightly and unhealthy contaminates are easily tracked into your home by foot traffic. They make your rugs and carpet and hard floors dirty. The longer these contaminates live and grow on the surface the more surface area they take over. In extreme cases this can be dangerous when it rains because those areas can become slippery when wet. 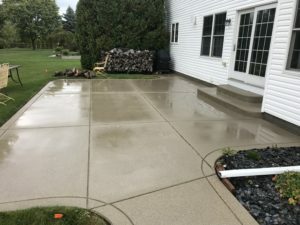 Call now to have your concrete cleaned.